The Guild recently held their annual Textile Bazaar. I rocked up right as the doors were open and left with almost more yarn than I could carry. No cones this time. 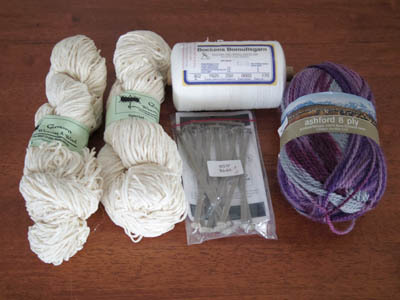 I wanted two things: rug yarn and maybe some knitting yarn to use on the machines if it took my fancy. I found both. Most of it stank of moth balls. The stinky yarn got wound into skeins then soaked in woolmix and left to dry and air. The big batch of caramel brown knitting yarn came up fine. The rug yarn utterly reeked, and while it was drying the whole house smelled like a chemical factory. I had to put it in the bathroom, turn on the fan and leave it for a day. Thankfully it’s much better now, though still with a faint mothball odour. In the meantime, I’ve leafed through my books, to-do list, stash spreadsheet and visual journal and felt only a few little sparks of interest. Whenever I’ve had time for craft I’ve fallen back on existing projects. I’m all out of inspiration. I got to wondering if am in the throes of a very long bout of finishitis. So I decided to go with it. 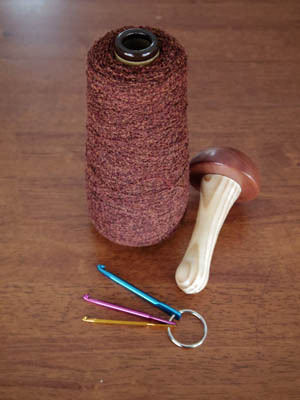 I finished spinning the yarn on my wheel – some lovely camel fibre – and I plied some banana fibre I spun a while ago with some overlocker cotton. The third iteration of the twill sampler came off the loom. When I labelled it I discovered I’d completely missed one of the drafts. No idea how that happened. I’m not going to warp up the loom for one 10cm sample, though. I’m not even sure if I want to finish the chapter, to be honest. 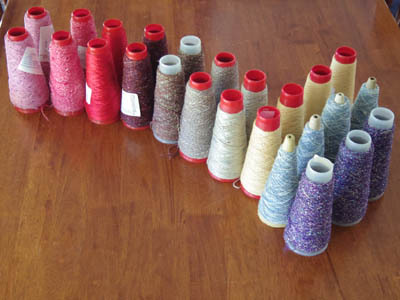 I have all the two-colour warp ones to do – 27 in total. The realisation that it would take me 20 years to get through the book at this rate was rather off-putting. Maybe I should do something more achievable, like picking ten drafts from each chapter. All I have left on the WIP list is the mosaic clock. It would be nice to wipe the slate clean, I suppose, but it would also be nice to feel the excitement of starting a new project. For the moment, however, I’m giving my creative brain a rest. It will fire up again when it’s ready, I’m sure. A sort was in order. 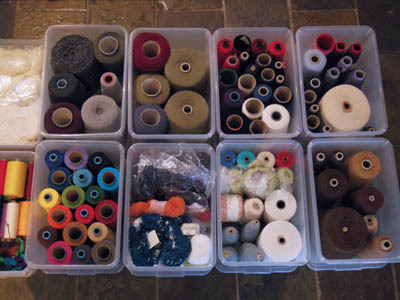 I moved cones to the larger boxes and divided everything into wool and non-wool. 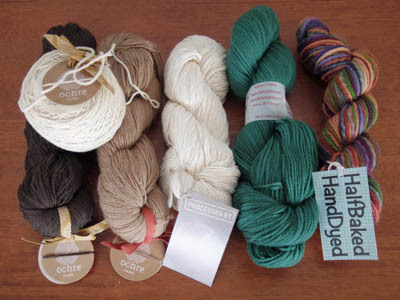 All non-wool, non-acrylic yarns had instant keeper status. 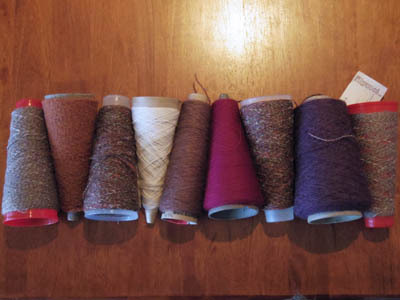 With those put aside, I considered which wool yarns to keep or cull. Sock yarns are keepers, since my feet don’t get irritated by wool. Recent handspun stays, too. The Bendigo Classic 2 & 3 ply does weave up into a nice blanket and makes good warp yarn, so I’ll retain that. The rest I sorted by softness. The Tonne of Wool Cormo is the softest, Bendigo Luxury next, Cleckheaton Country and Paton’s Inca next, and the rest became one batch of ‘least soft’ yarn. From that I culled the Bendigo Serenade, Patons Shadow Tweed, Lincraft Cosy Wool, a cone of fine boucle and the metallic yarns I hated weaving with earlier this year. 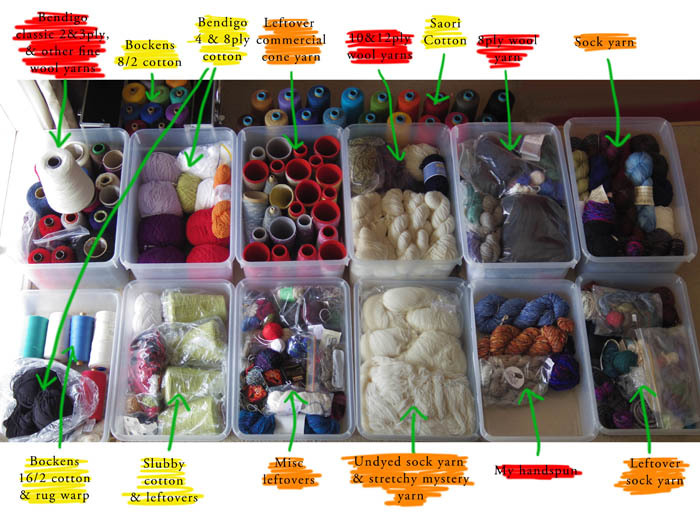 I also culled my knitwear, removing two vests I don’t wear, a cardigan and a jacket. The jackets were unravelled. The yarn I got from them is wool, but I have plans to turn it into pin loom blankets. Since one is a bulky yarn, I’m currently making a pin loom 150% the size of the one I have, so the nails are spaced wider apart and I get bigger squares. 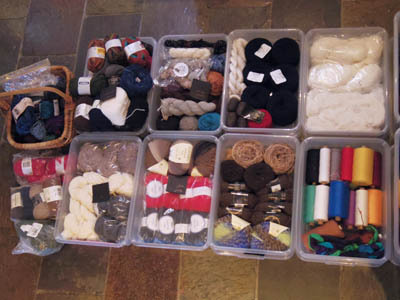 The stash doesn’t all fit into the boxes, but with the wool yarns hanging about in the way rather than the cone yarns, I’ve got more of an incentive to either use them up or cull them. We travel with carry-on bags only, so when it comes to souvenir shopping, we stick to small, light items. There’s always the option to post things homes, though. The first thing I bought was a metre of trim. 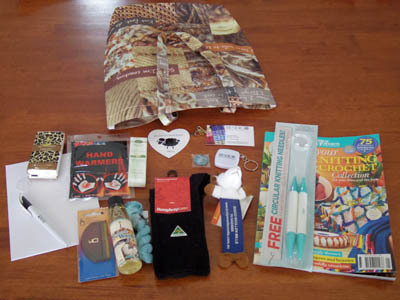 Woven inkle could be found in most craft stores, as well as machine-make ribbon, for use in traditional costume. When I bought the ball of yarn to try nalbinding, in the same ship I found a leather bracelet with rows of holes punched in it for cross-stitch. That’ll be a nice tv project. I posted this and the next item home with some books Paul bought. The boxes of retors a broder I found in a second hand shop. The woman selling it gave a little laugh when I handed the boxes over and she looked inside and saw the thread. I have no idea why. I found yarn stores everywhere. It got to the point where I’d expect to find one whenever we stepped off a bus or train. 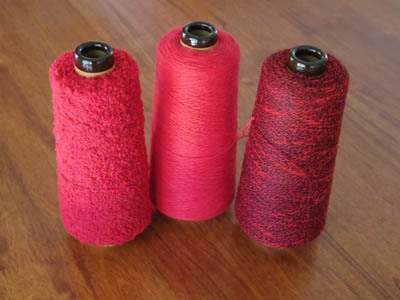 Most contained yarn best suited to knitting. If I’d still been knitting, I’d probably have wound up buying an extra bag and filling it. 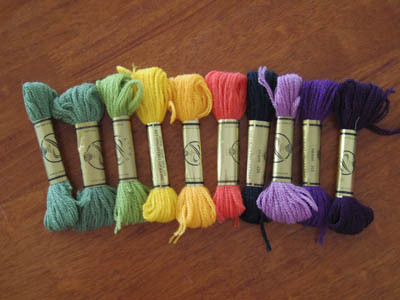 I got this skein, which feels well suited to weaving, in a shop in Roskilde that had lots of local yarn. There was also the yarn I bought to nalbind with, of course. Weaving yarn isn’t the only kind I’ve been stashing. 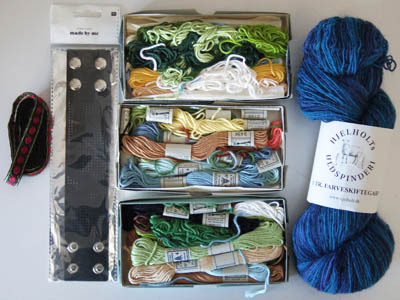 I’ve also been buying embroidery yarns from eBay. First up was a batch of wool. I wasn’t sure what I wanted to make out of it, but when it arrived I got a wave of nostalgia, remembering how I use to do bargello work when I was a teen. However, I don’t have any canvas, I’m not sure what size to get to go with the yarn, and embroidery shops don’t appear to stock it. I’d read about it on embroidery blogs, but never seen it. After finding a skein in an op shop I went hunting on eBay. 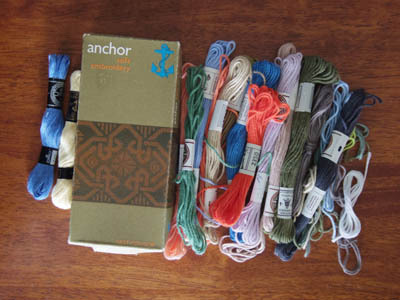 There didn’t appear to be any available in Australia, but I recognised the labels on a batch listed as tapestry thread, and more research told me that Anchor ‘soft cotton’ was the same or very similar. 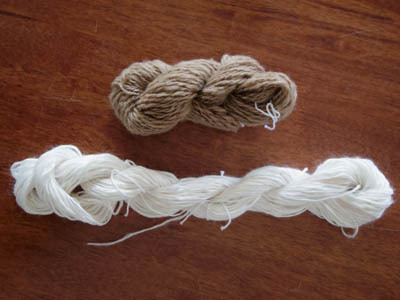 Again, I’m not 100% sure what I’ll make from it yet, but I’ve read that it was better than using the full six strands of stranded cotton, as you don’t get loose strands from them being snagged when pulled through the cloth. 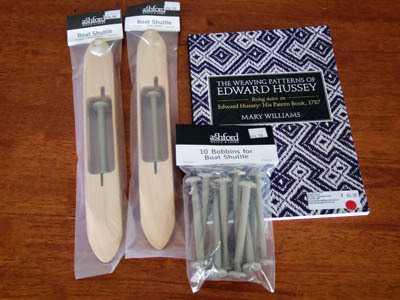 I can see that being helpful when doing tambour embroidery. I’ve been buying yarns. Weaving yarns! It’s not that I couldn’t keep weaving with knitting yarns, but the yarn in my stash tends to dictate what sort of projects I attempt. Having more ‘weaving’ yarns in there will inspire me to explore in new directions. However, cones of yarn are expensive! Particularly so if you buy them from outside of Australia. It’s been a while since I’ve ordered anything from the US, and yikes! Postage is incredible! 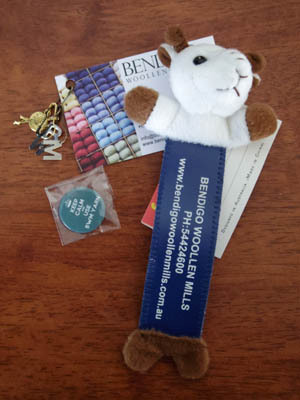 Unfortunately, there aren’t many shops selling weaving yarn in Australia, and with not a great deal of overlap in yarns they have available there’s little competition in prices. There are some interesting yarns in there, though I’ve put aside the ones with mohair in them to give away at the next weaving class. 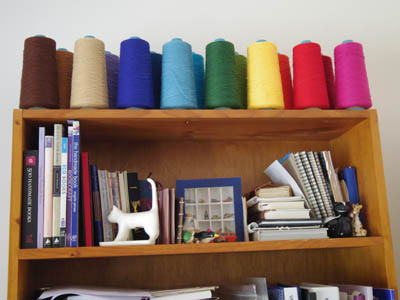 Next I discovered in a round-about way that the shop I’d recently bought a book of Saori garment designs from, Curiousweaver, sells yarn. I typed in ‘weaving yarns’ and specified Australia in Google, and up came a rainbow of colour that led me back to her site. And one of the packs of coloured cotton – perfect for that colour gamp project I’ve been wanting to weave for ages – for around $17 a cone. My craft room feels more like a weaver’s studio now. I think I have enough yarn now. 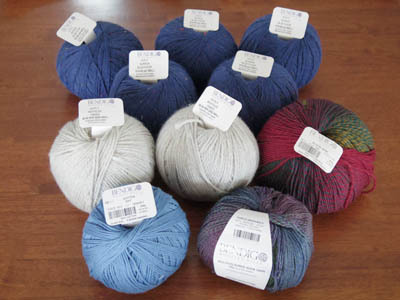 Of course, I’ll probably stumble on a pile of yarn going free or incredibly cheap now. And I won’t be able to resist. Paul and I went to the Australian Sheep & Wool Show on Saturday. I hadn’t been since 2009, when I tagged along with some of the Ravelry Rocketeers. I ran into a spinner from that group, and a friend. It was a glorious day, sunny but not hot. The show was bigger than I remember, and though I didn’t think I’d buy much I spent over $400. 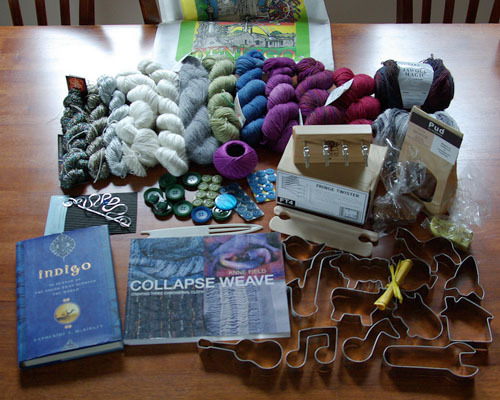 Well, I have been on a stash diet since the beginning of 2009 (though I’m beginning to think that the only time I’m not on a stash diet is between the time I arrive somewhere where yarn is sold until the moment I hand over the money for it.) And the pricier items were the fringe twister and books. Once upon a time I would never have looked twice at lace weight or cobweb yarn, but this time I averted my eyes from anything heavier than 4ply. 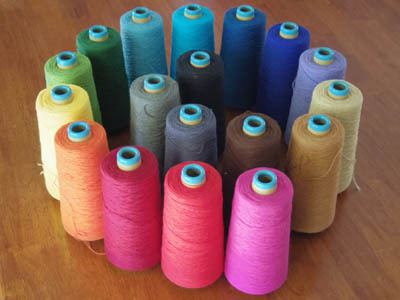 Though I can weave heavier yarns, I have plenty already. If I buy lighter yarn it can be used on the knitting machine as well. And now I have plenty of that kind of yarn. I just need to find time to knit or weave it.